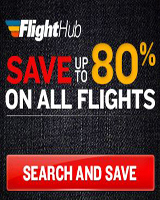 Plan a Ski Trip to Aspen Snowmass in Colorado and you’ll gain access to Aspen Mountain , Aspen Highlands, Buttermilk Ski Area and Snowmass Ski Resort. 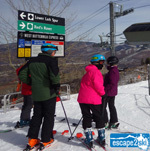 Ski Aspen Snowmass and you’ll get access to over 5500 acres of skiable terrain, 41 total lifts and 360 total trails. The four ski areas that makeup Aspen Snowmass are nestled in the beautiful area known as the Roaring Fork Valley of Colorado along State Highway 82. 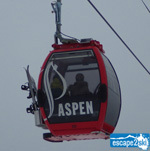 When you plan a ski trip to Aspen Snowmass, one lift ticket will give you access to all four ski and snowboard resorts. 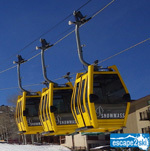 Snowmass is the largest of the ski areas by vertical drop and skiable acres and has a village, known as Snowmass Village that features great restaurants and all types of accommodations. Buttermilk has great cruisers and is perfect for beginners or those looking for a relaxing day on the slopes. Aspen Highlands is perfect for intermediate and advanced skiers and snowboarders as Highlands has 65% of its terrain devoted to experts. Highlands Bowl is home to the 12,392ft/3777m Highlands Peak that can be accessed by snow cat or hike-to and features quite possibly some of the best expert terrain that has earned a reputation that stretches far beyond the local community. 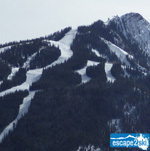 And then there is Aspen Mountain, located right in the centre of the city and hosts amazing intermediate and expert terrain and the iconic Sundeck restaurant. Another big advantage when you plan a ski trip to Aspen Snowmass is that the Roaring Fork Transit Authority provides a convenient bus service between all the ski resorts and it is FREE. Also, each of the resorts when you plan a ski trip to Aspen Snowmass have mountainside lodging and Aspen Mountain has the city of Aspen nestled at its base offering the greatest selection of options. At the end of the day when the sun is shining, Après ski is alive at the base areas of Aspen Mountain, Aspen Highlands, and Snowmass. Be sure and stop by.